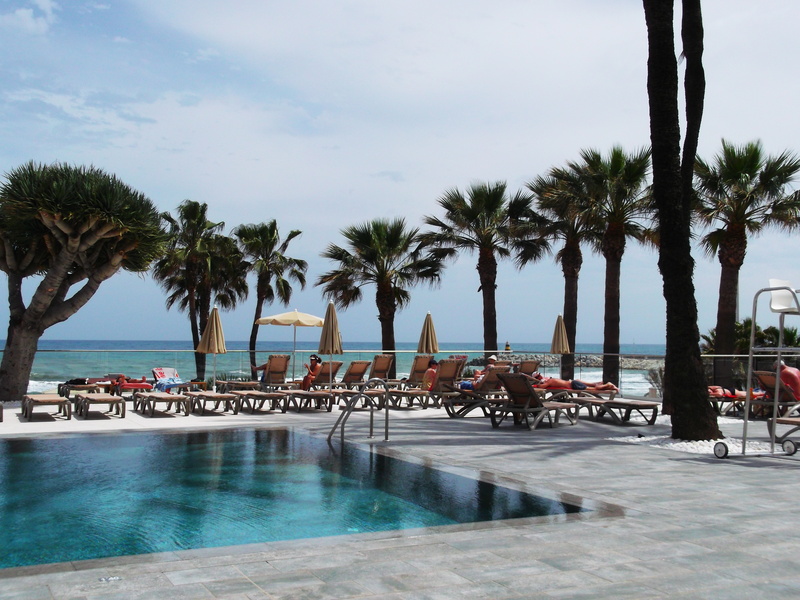 This was our third visit to the Sol Aloha Puerto, now renamed Sol House and it lived up to the usual expectations. 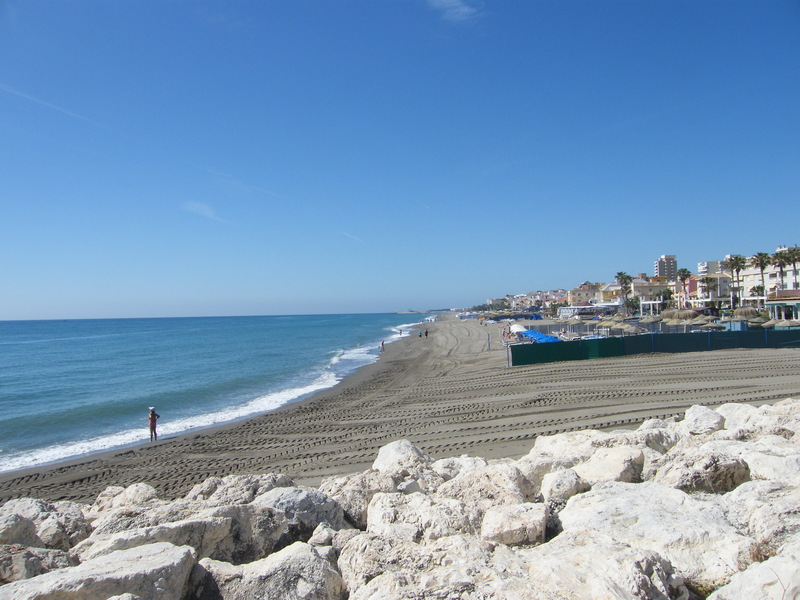 It’s situated right on the sea front, about five minutes walk from Benalmadena harbour. The rooms are huge (ours was a junior suite, but I think that’s pretty standard). Wi-Fi is fast and free and the TV has UK channels. I should say TVs, as there are two of them, one more than we have at home! You get a free safe and fridge too. The mojitos are delicious (as you can see it’s happy hour). The food is excellent too, lots of choice, especially in vegetables and fruit. 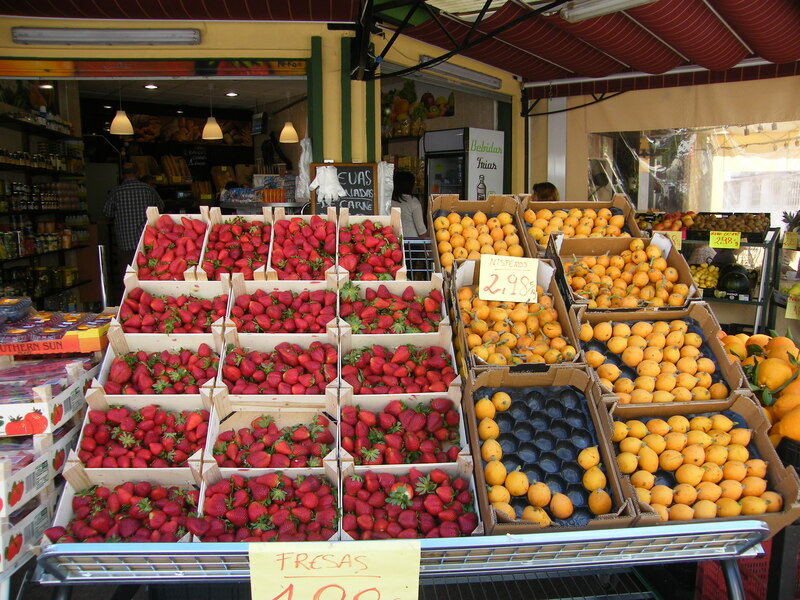 Spanish strawberries are in season, so I indulged at breakfast and dinner! Last month we stayed at the neighbouring RIU Nautilus and on balance I would say that this is the better hotel. Both are four stars and priced similarly, but this suits a younger clientele (well, fifties, not seventies). For a winter break that won’t break the bank, you can’t go far wrong with the Costa Del Sol and I’m sure we’ll be back next year. 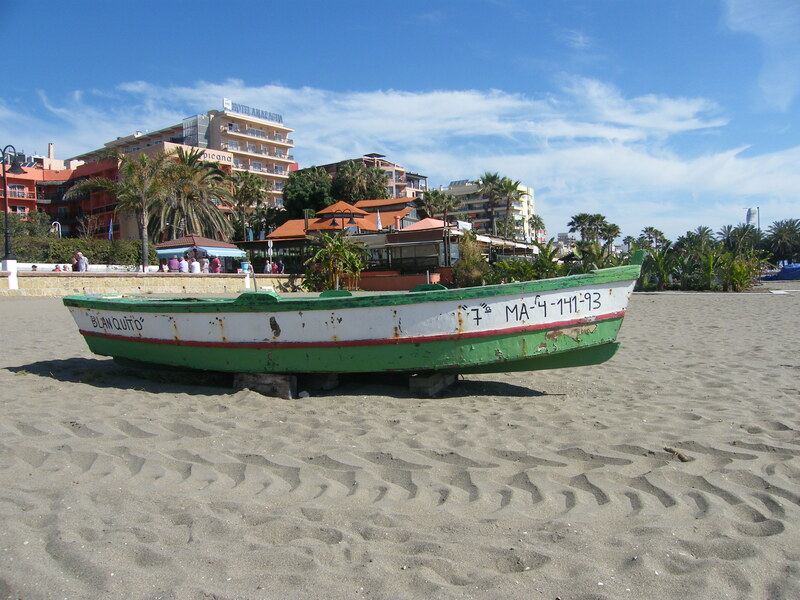 If you’re looking for some winter sunshine, but are not fussed about whether you can get into your cossie, then Torremolinos is a great place for a January break. The weather is a bit variable and last week we had a mix of hot and sunny, plus a couple of overcast days. Perfect for strolling about, eating out, reading and relaxing. 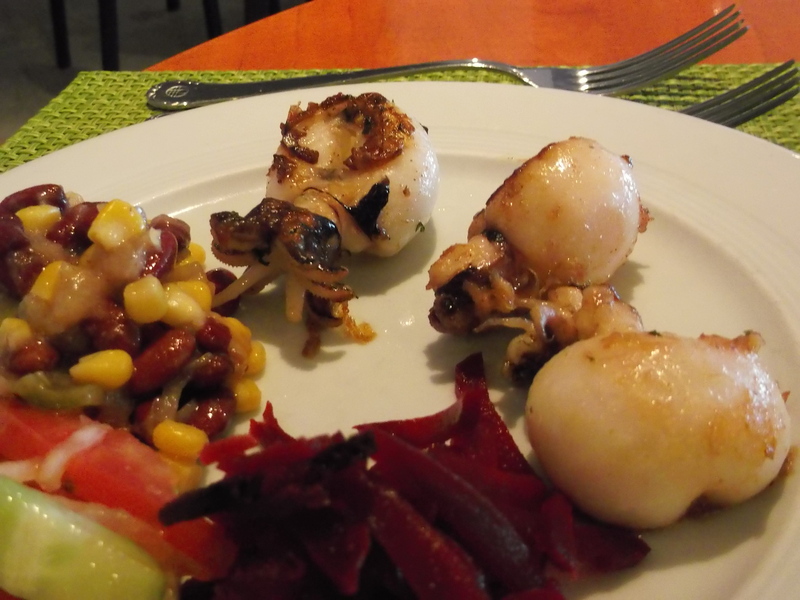 We stayed at the four star RIU Nautilus which is a very comfortable base. The hotel is modern in style and the rooms are pretty good. The food was spot on, especially if you like to stay on track and eat healthily. Great choice of fruit and vegetables. 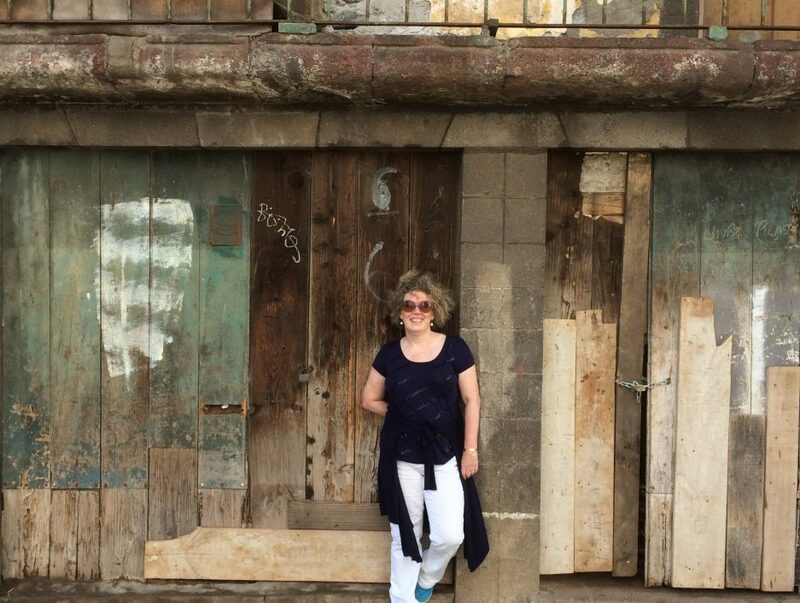 We were half board, but there’s no shortage of great places to eat. 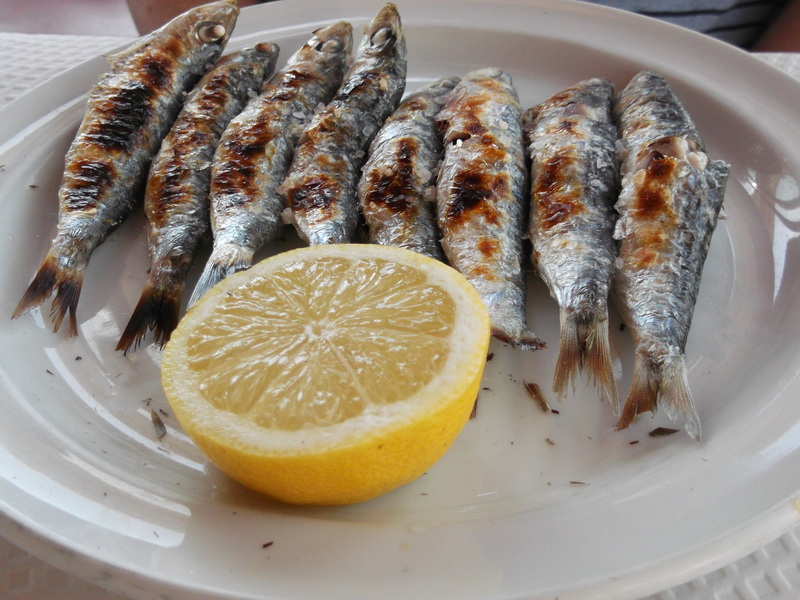 Larry’s Chiringuito is our favourite for great fish. Unless you speak fluent Spanish, or like BBC World News, then the swish wall mounted TV is a waste of space. Shame because I do enjoy a bit of late night TV when staying in a nice hotel. The Wi-Fi s not worth bothering with either, as you only have one hour per day which must be taken in one session. Prehistoric by today’s standards. As you would expect for a winter sun break, the hotel entertainment is geared towards the seventy plus market. Nothing wrong with that, it’s just not to our taste. Luckily the last three things are easily sorted. We can do without TV. Most bars and cafes around the hotel offer free Wi-Fi so that’s easy. Finally, no need to stay in the hotel at night as you can pop across the road to The Full House for some conversation, a cheeky drink, access to the internet and even a cup of PG if you so desire! I would definitely stay at the Nautilus again. It’s a really comfortable hotel. Crazy that it has ultra modern décor with ultra old fashioned technology, but you can’t have everything as they say! 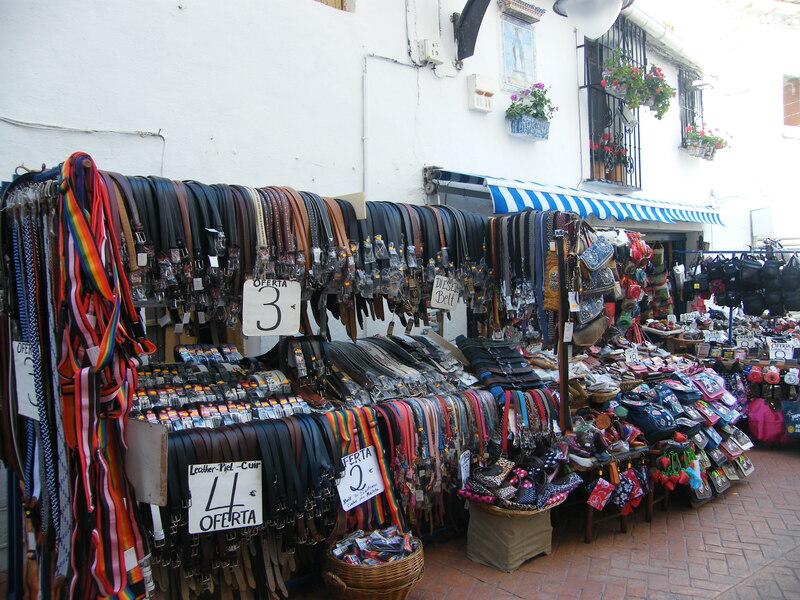 I know that many people have preconceived ideas about Torremolinos. I can hear you saying ‘yuk, high rise and British pubs’ right now. 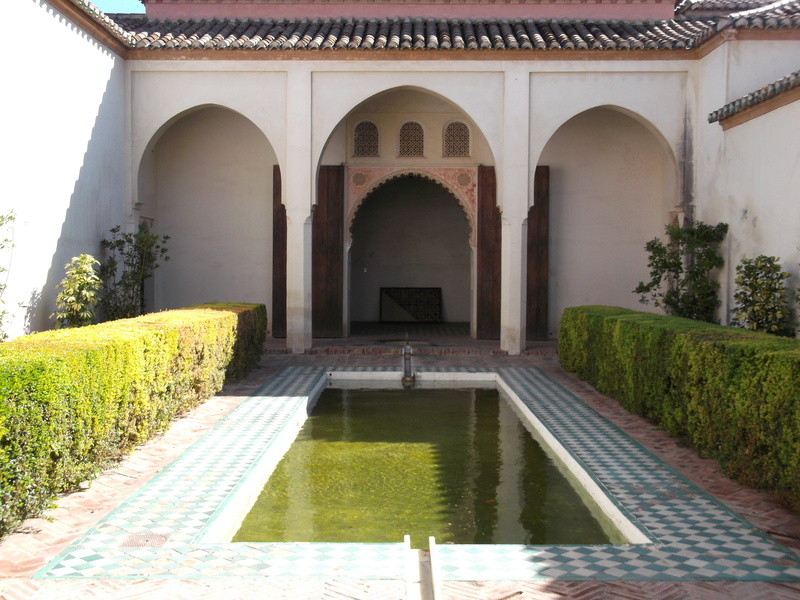 In some ways, it makes the place cheaper to visit, as unless you’re in the know, you stay away, but I thought I’d share a couple of snaps with you to show you what you’re missing. 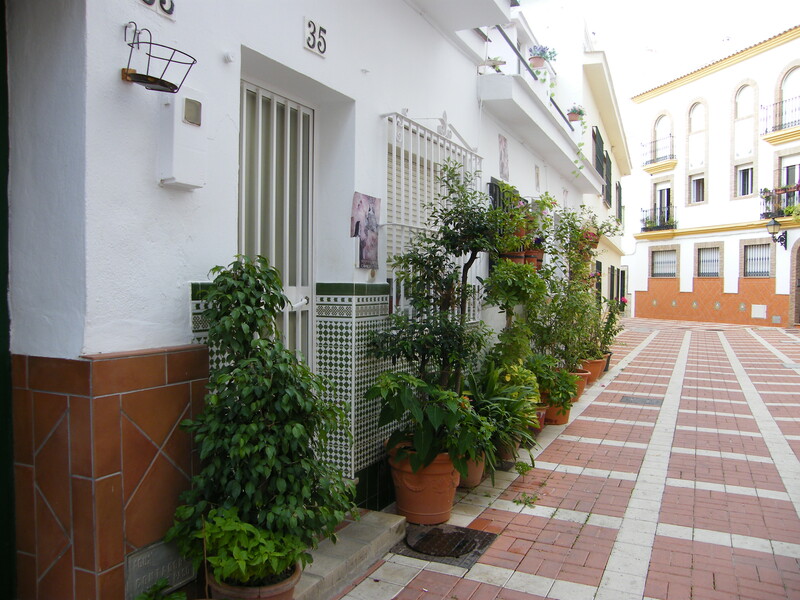 These are taken in La Carihuela, just outside the main town, and you couldn’t ask for a prettier Spanish street in my opinion. 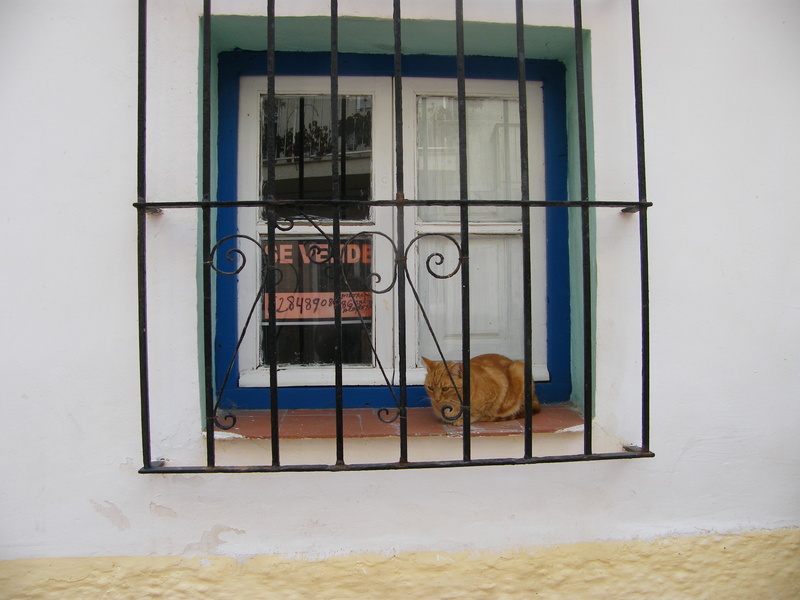 Despite the kitty in the picture, this street is called Calle De Los Perros. 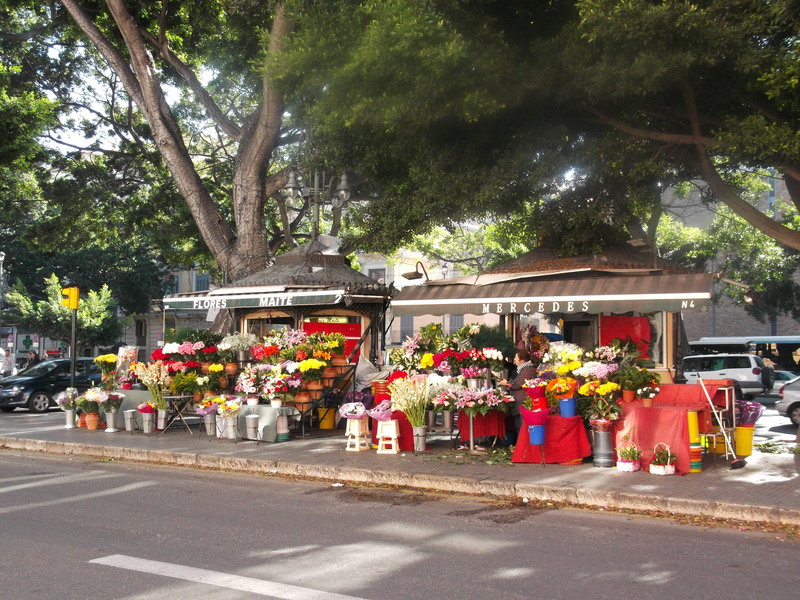 La Carihuela has some fantastic fish restaurants as well as a myriad of shopping opportunities. 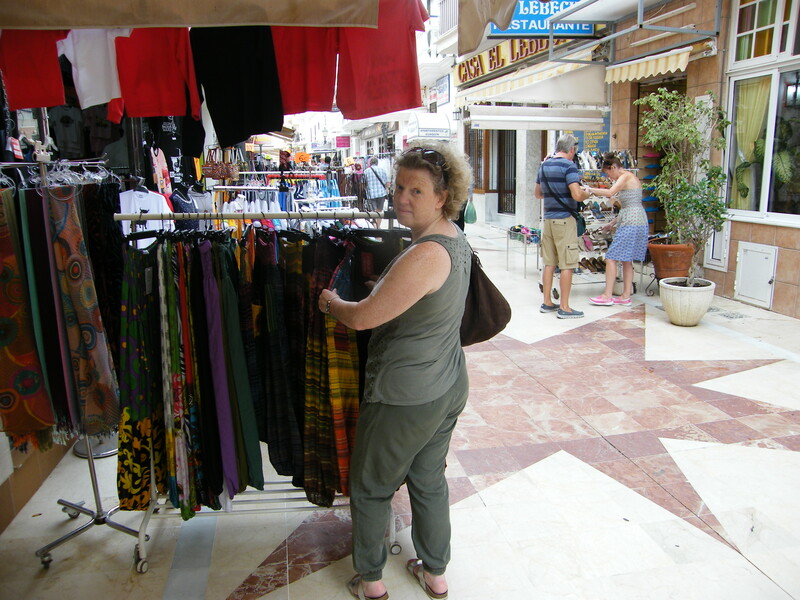 Here I’m debating whether to add to my collection of harem pants. Anyone else a fan of Torre? I just love these little guys. My holiday starts as soon as I see a flock of them flitting from tree to tree chatting to one another. 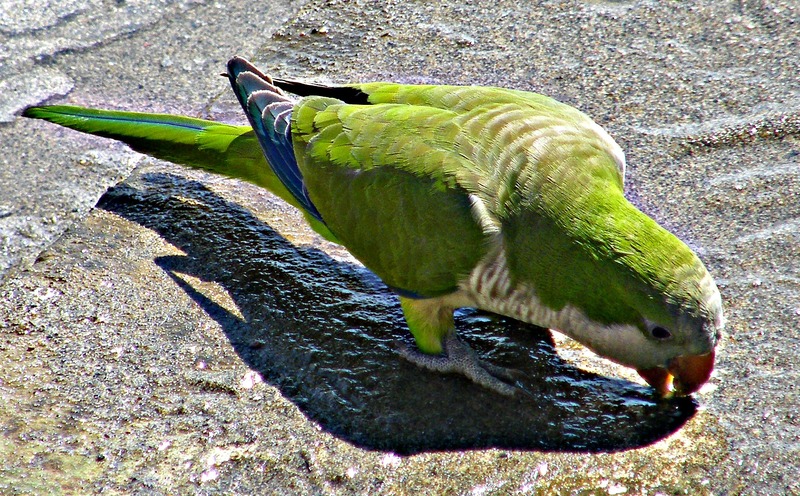 Their presence is controversial as they are not an indigenous species, but they are very cute! If you like to spend an afternoon eating and drinking with a sea view, then you won’t go far wrong in a chiringuito, or beach restaurant. There are dozens to choose from, all with a huge selection of fish dishes. Over the years we’ve stayed in every class of hotel, from the charming one star Cabello, to the elegant four star Riu Nautilus (don’t think there are any five stars). Last month we stayed at the newly refurbished Sol House which has a bit of an Ibiza vibe going on. There’s something to suit all budgets. We usually book our flights and hotel separately through Alpha Rooms as it saves money and gives us more choice of flight times. The beach is huge, well kept and clean. Still lots of traditional fishing boats knocking about. 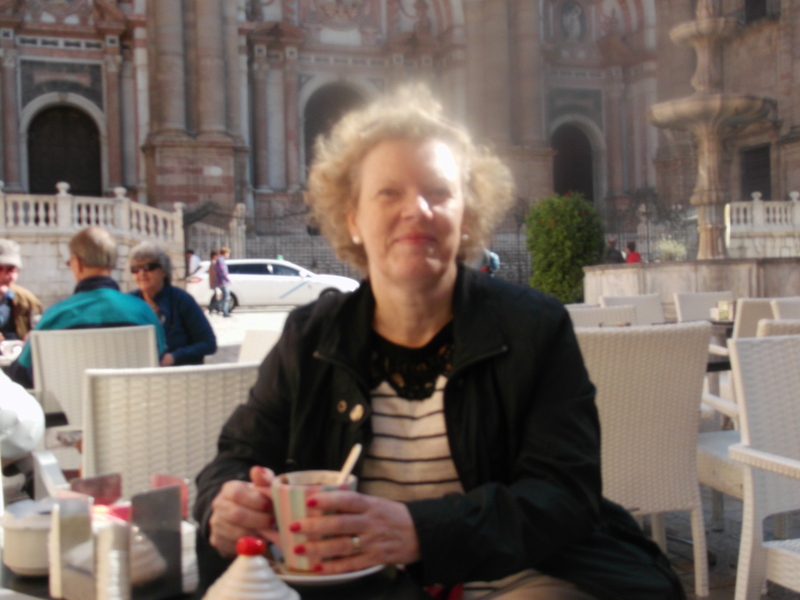 These very kind people let me try out my Spanish when shopping and don’t smirk when I get it wrong – they are happy to chat to help improve your conversational Spanish skills too. It’s not called the Costa Del Sol for nothing! We go out of season March, April, October, November and it’s usually 20 degrees plus and sunny. So many shops, so little time! I always come back with unusual pieces of jewellery. Best fresh fish you can get anywhere at a reasonable cost. This whole fresh turbot cost e25 for both of us. Less than a tenner each. 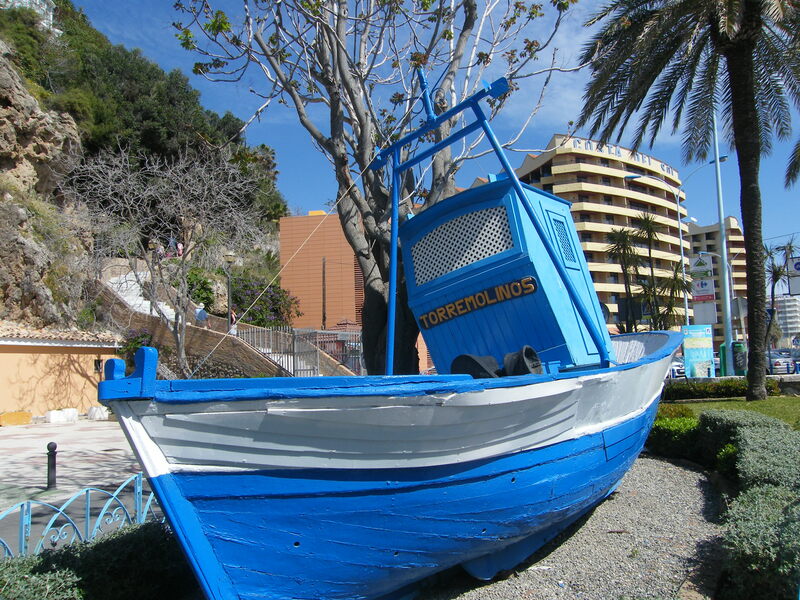 Anyone else been to Torremolinos? I’d love to know what you thought! 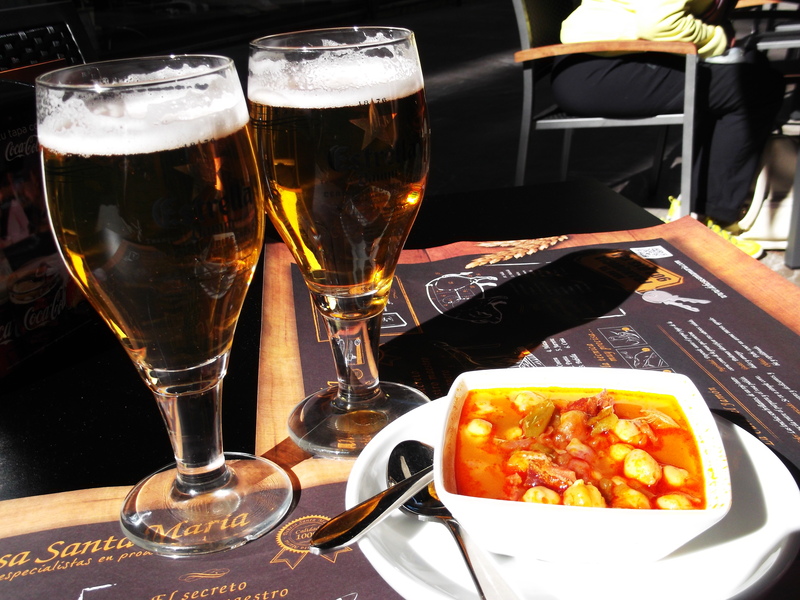 These are my favourites to eat on the Costa Del Sol. I suggest you look away if you don’t like fish! 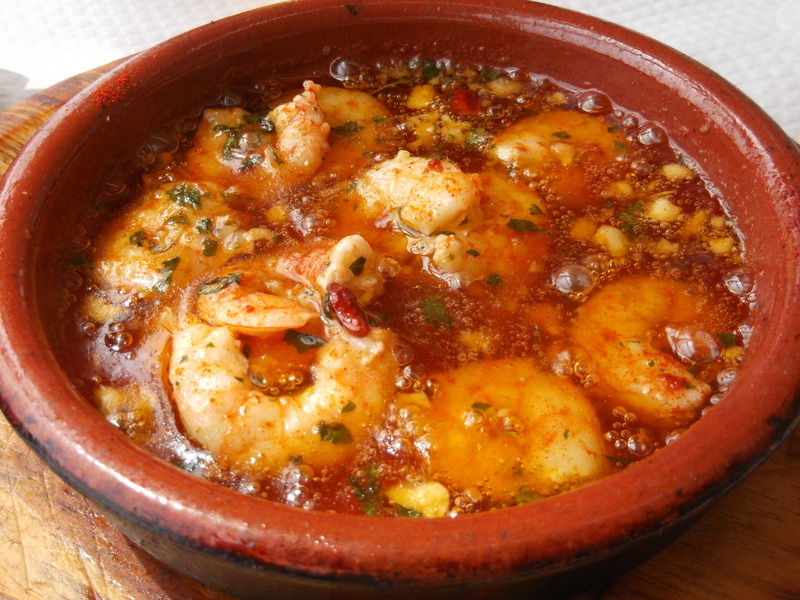 Gambas al Pil Pil – hot sizzling prawns in chilli, garlic and olive oil! 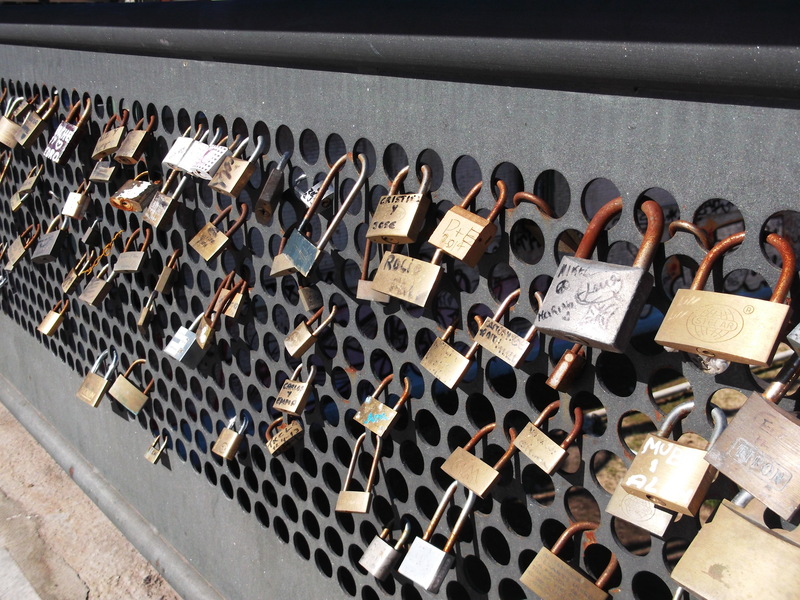 (This was at chiringuito Antonio y Ana. There are lots of these beach front restaurants in Torremolinos and they’re the best place to eat fish in my opinion). 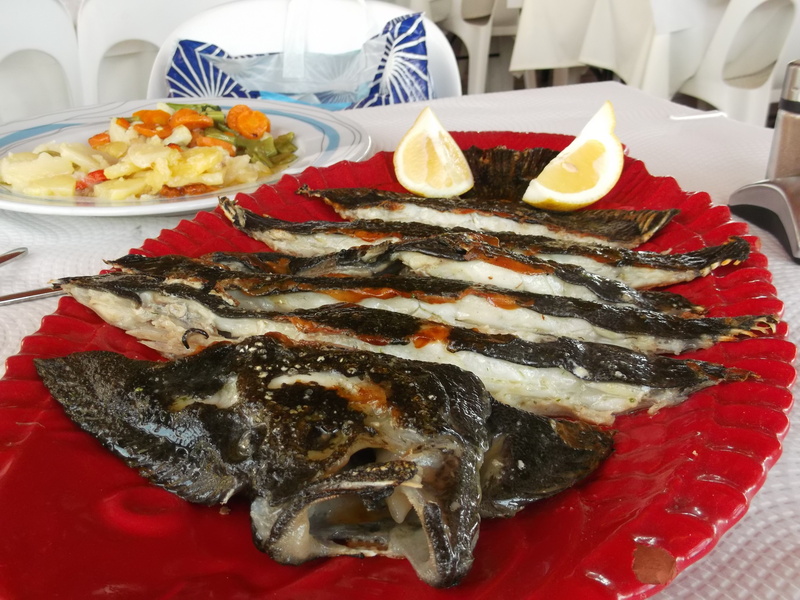 Rodaballo – a whole turbot grilled and served with garlic potatoes- this was the special of the day at Larry’s chiringuito (our favourite fish place). Sardinas al Espeto – grilled on a stick over a red hot charcoal BBQ on the beach. 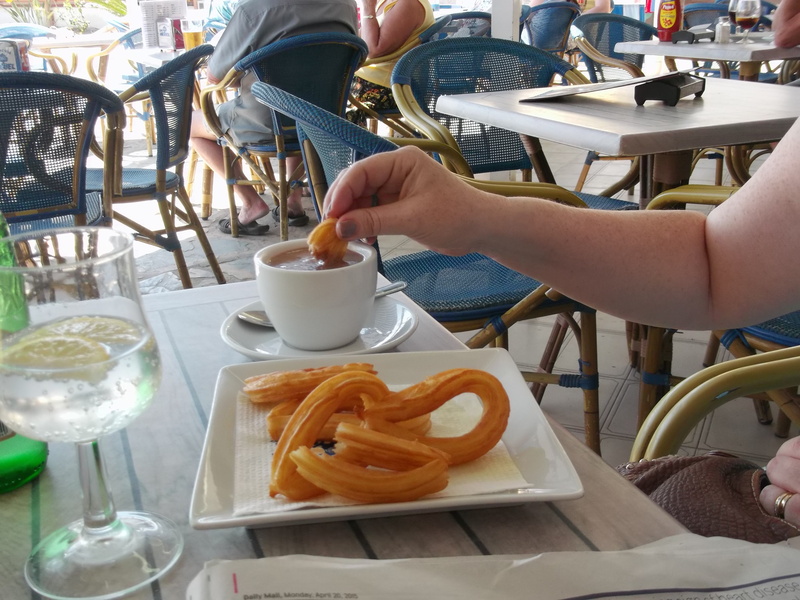 Chocolate con Churros – unsweetened deep fried batter served with thick hot chocolate for dipping. The best place for this is Heladeria San Miguel. 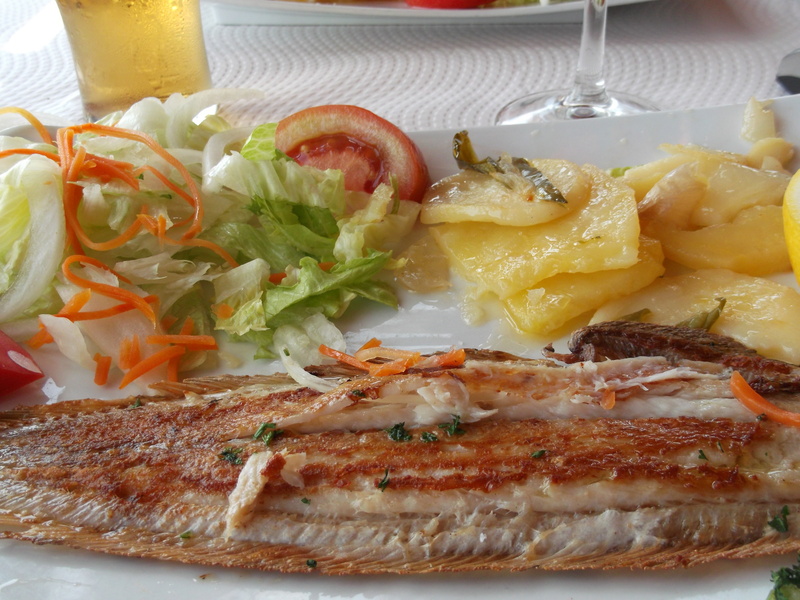 Lenguado a la Plancha – grilled lemon sole with garlic. This was at Larry’s. 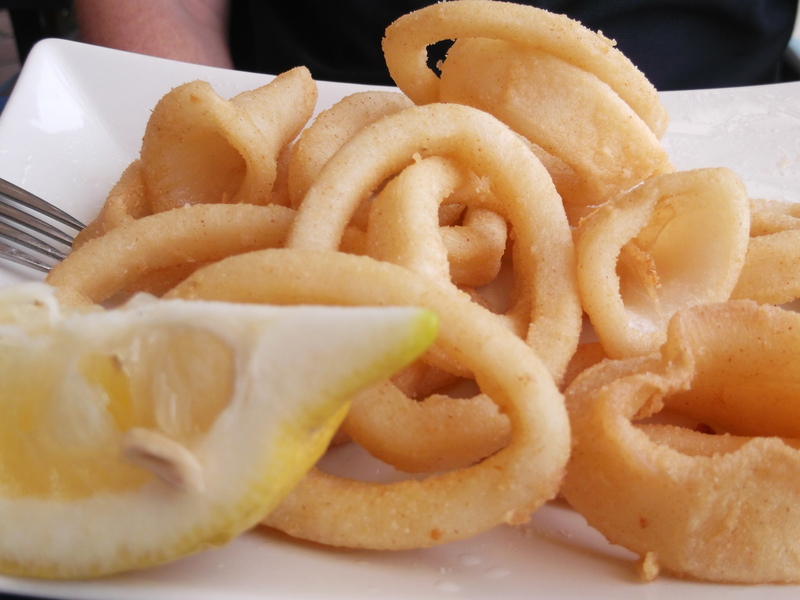 Calamares – deep fried squid rings, tender and fresh as you like! 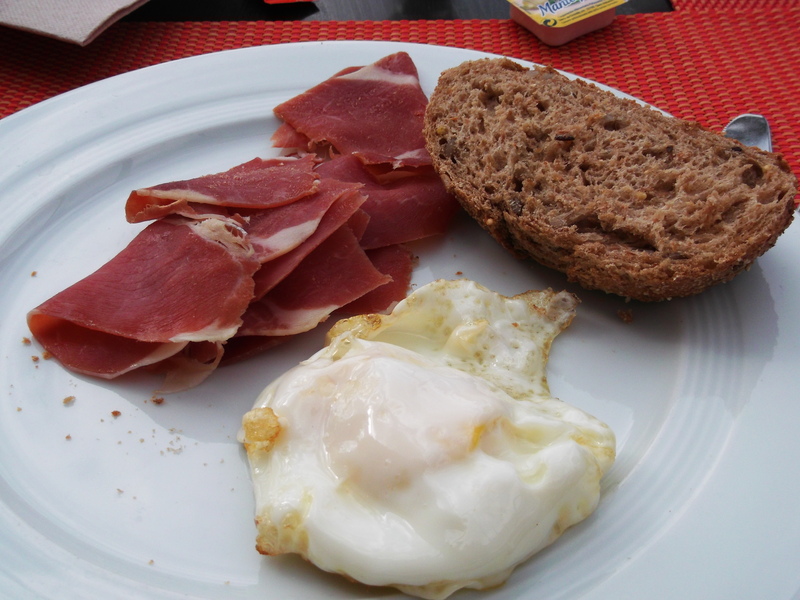 Jamon Serrano – served in our hotel for breakfast with a fried egg. We stayed at the Sol House Hotel. I hope you’ve enjoyed this (mostly fishy) tale. 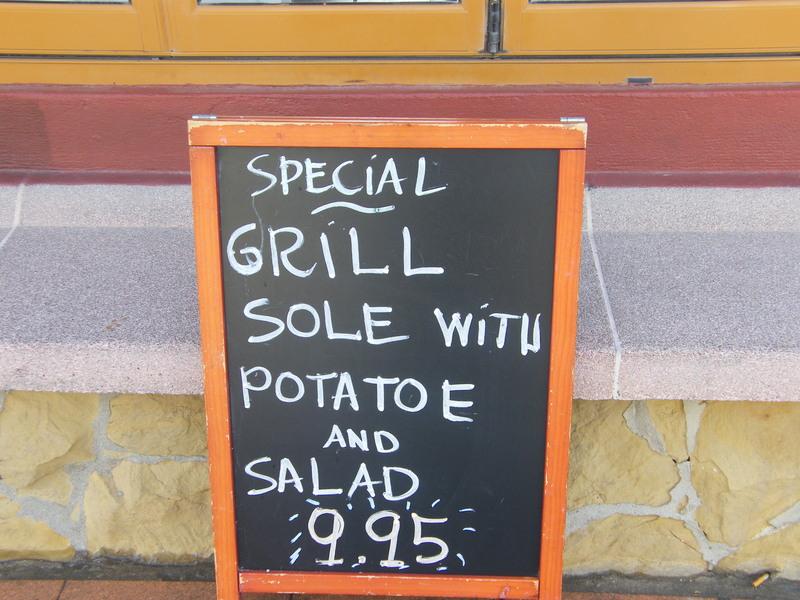 What’s your favourite thing to eat on holiday?